Recommeneded by doctors and clinically proven to relieve Itching & Redness. 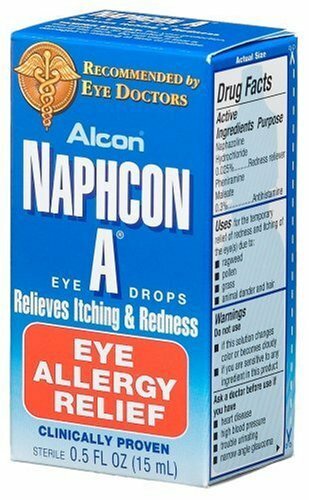 Combines an antihistamine and a redness reliever for the temporary relief of itchy, red eyes. View More In Allergy Medicine. If you have any questions about this product by Alcon, contact us by completing and submitting the form below. If you are looking for a specif part number, please include it with your message. Claritin Non-Drowsy RediTabs Indoor & Outdoor Allergies 12 Hour Relief Tablets - 30 CT, 5mg.